What are ThermoClear Pro RF treatments? 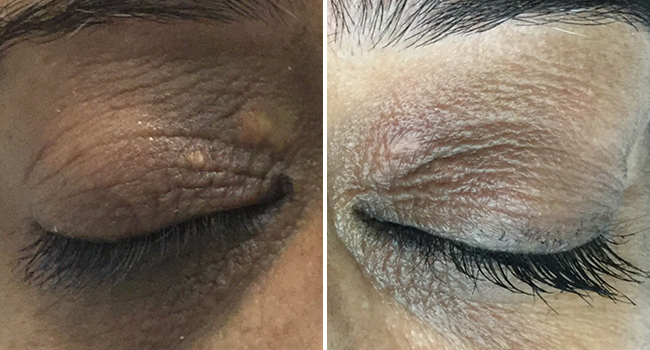 ThermoClear Pro RF treatments are the #1 procedure for milia (whiteheads) and sebaceous hyperplasia. We see this over and over again with our clients, as they are always amazed at the results we achieve with this treatment. ​​A slight heat sensation is felt during the treatment. 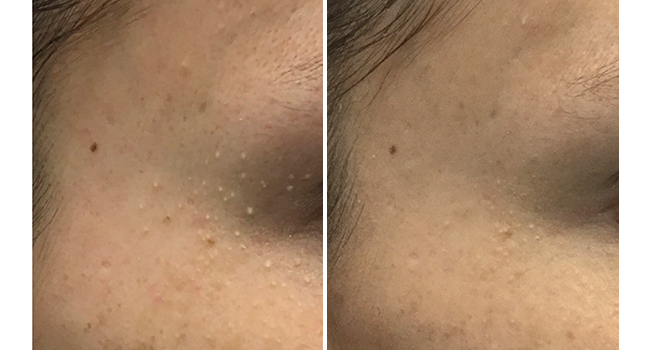 Area is slightly red and inflamed immediately after treatment, but may be covered with mineral skin care. May take up to 5 or more days to completely heal. Using a very fine sterile needle we simply touch the epidermis of the affected area. The current is attracted to the water contained within the affected area essentially dehydrating the area and triggering the body to exfoliate the dried skin in a few days. We see this over and over again with our clients, as they are always amazed at the results we achieve with this treatment. There isn’t a day that goes by that we do not use this instrument for a treatment. It truly is an art that we have perfected! Download pre and post treatment instructions for ThermoClear Pro RF: here. Pricing varies depending on the treatment area size. 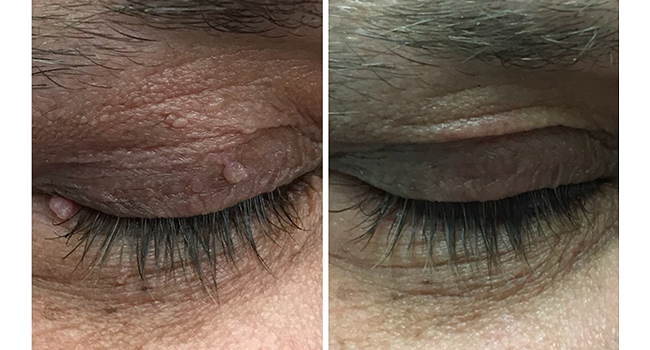 If you suffer from milia, sebaceous hyperplasia, spider veins, or any of the other skin conditions listed above, book your free consultation at Fresh Laser Skin Studio! At our studio in northwest Calgary, we provide a variety of treatments that can help you look and feel your best. To get started please fill out schedule online or give us a call at (403) 264-4494. We look forward to seeing you!